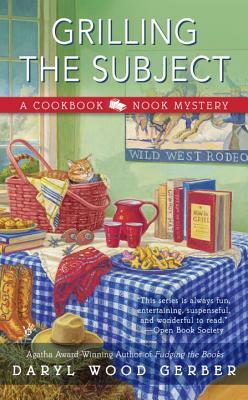 Daryl Wood Gerber is the Agatha Award–winning author of Fudging the Books, Stirring the Plot, Inherit the Word, and Final Sentence, as well as the Cheese Shop Mysteries under the pseudonym Avery Aames. Like her protagonist, Daryl is an admitted foodie and an avid reader of books, including cookbooks. Prior to writing, Daryl acted on stage and television, including on Murder, She Wrote.